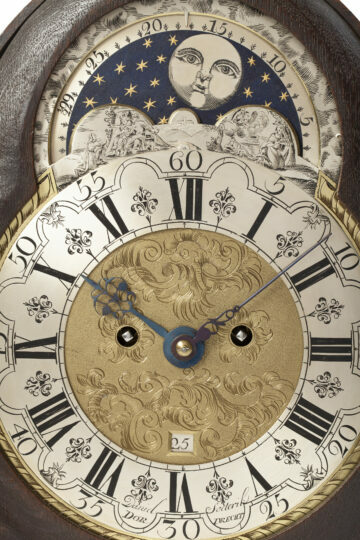 The spring-driven, eight-day double fusee movement is constructed between plates and has verge escapement with short pendulum. 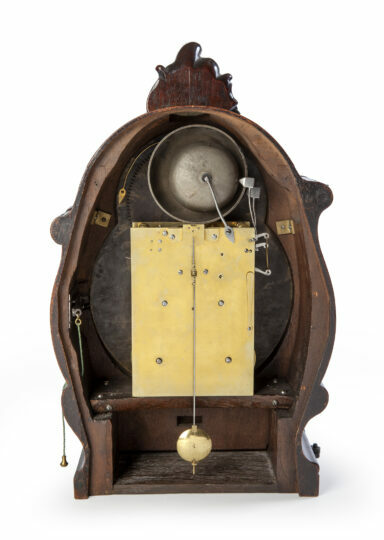 It has Dutch striking on two bells differing in pitch, regulated by a rack and snail. The shaped brass dial has a silvered chapter ring with Roman hour, half-hour, quarter-hour, five-minute and minute divisions. 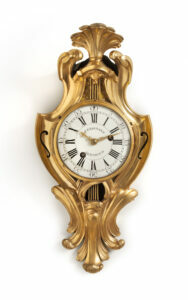 The minute ring has typically Dutch arches. The time is indicated by a fine air of pierced blued-steel hands. The matted and engraved centre has a date aperture above the VI. 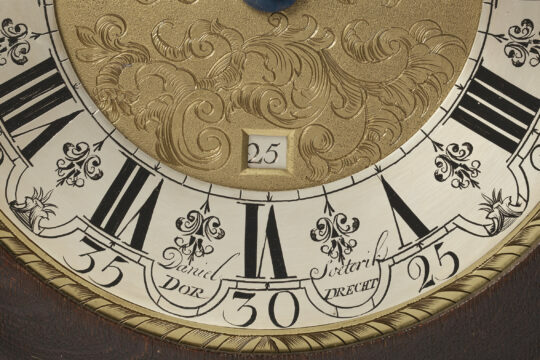 The maker has signed the clock at the bottom of the chapter ring, Daniel Soeterik DORDRECHT. 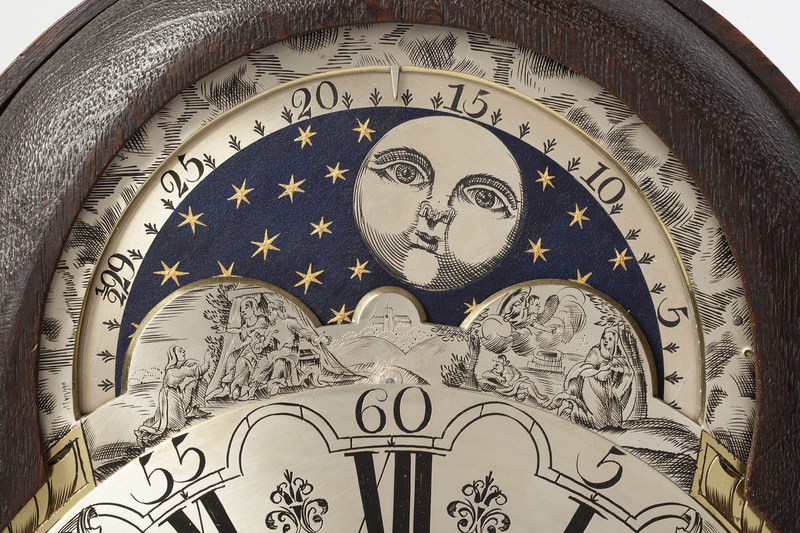 The moon phase and moon date are indicated in the air. The silvered humps are beautifully engraved depicting the Biblical story of “Abraham and Sarah” and “Hagar and Ismael”. 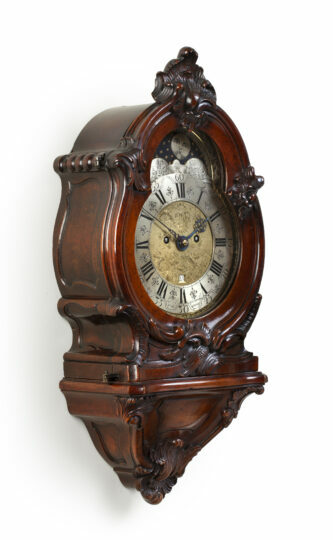 The shaped and arched mahogany case has a glazed shaped door on the front, the door being embellished by Rococo carvings, surmounted by a cresting. 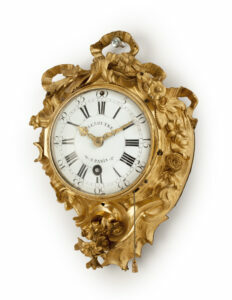 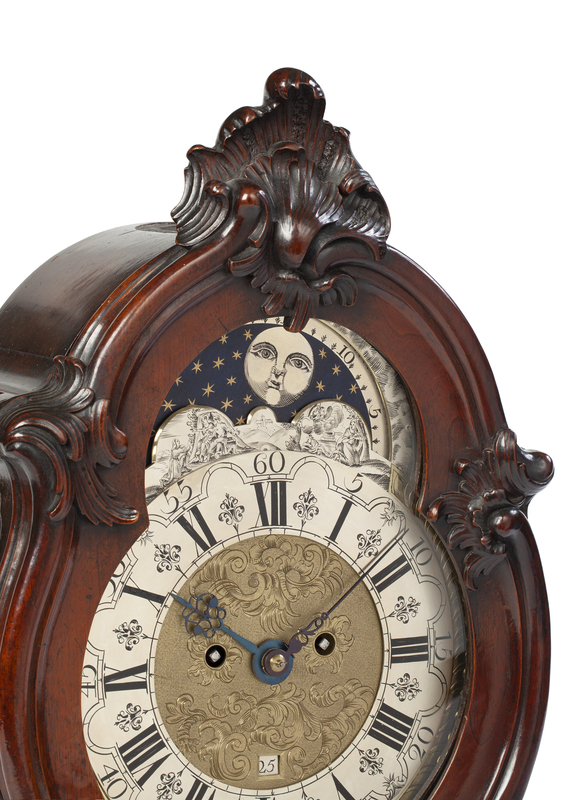 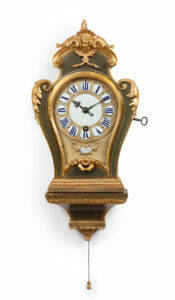 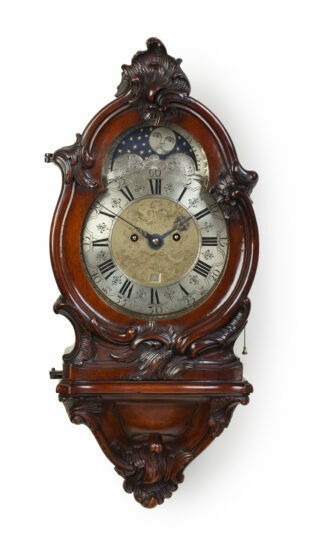 The side of the clocks as well as the similarly shaped and embellished bracket have shaped recessed panels. 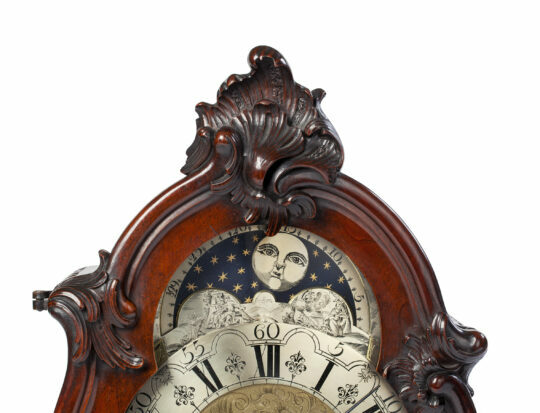 The top of the case has a sound hole behind the cresting, covered by silk. 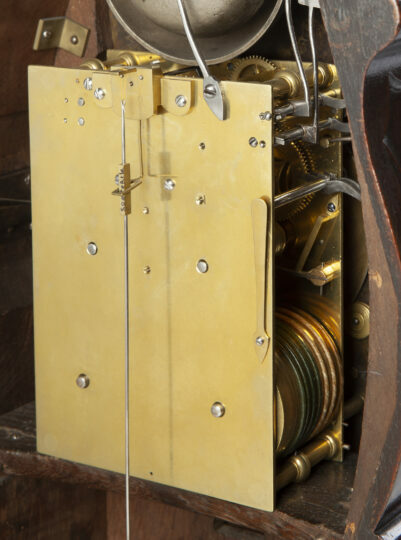 On the right-hand side is a cord with which the door can be opened. E. Morpurgo, Nederlandse klokken- en horlogemakers vanaf 1300, Amsterdam, 1970, p.116. Daniel Soeterik was born in Dordrecht but active as a clock and watchmaker in Leiden around 1750.